Set in a prime location of Shillong, OYO 4276 AM Bed and Breakfast puts everything the city has to offer just outside your doorstep. The property offers guests a range of services and amenities designed to provide comfort and convenience. Facilities like free Wi-Fi in all rooms, room service, airport transfer, newspapers are readily available for you to enjoy. Designed for comfort, selected guestrooms offer towels, mirror, fan, internet access – wireless (complimentary), smoking policy – non-smoking available to ensure a restful night. The property offers various recreational opportunities. 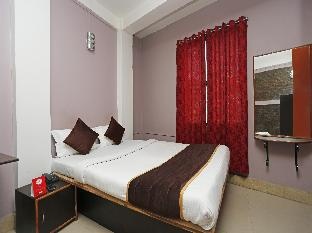 No matter what your reasons are for visiting Shillong, OYO 4276 AM Bed and Breakfast will make you feel instantly at home.